I am a big fan of libraries and the free services they offer especially here in Copenhagen and Frederiksberg, where the councils allocate a good amount of budget to them, unlike in Berlin where you had to pay an annual subscription to use the library. I understand financially why that is necessary in that city but it is disappointing that something as important as books and libraries should exclude people who probably value it most. I usually visit the main library in Frederiksberg or Copenhagen but even smaller, neighbourhood libraries here offer a great selection of books and the central website means that you can order books from all around the city and pick them up at your local branch. The selection of books in languages other than Danish in both the main libraries are excellent as are other things such as music and magazines. 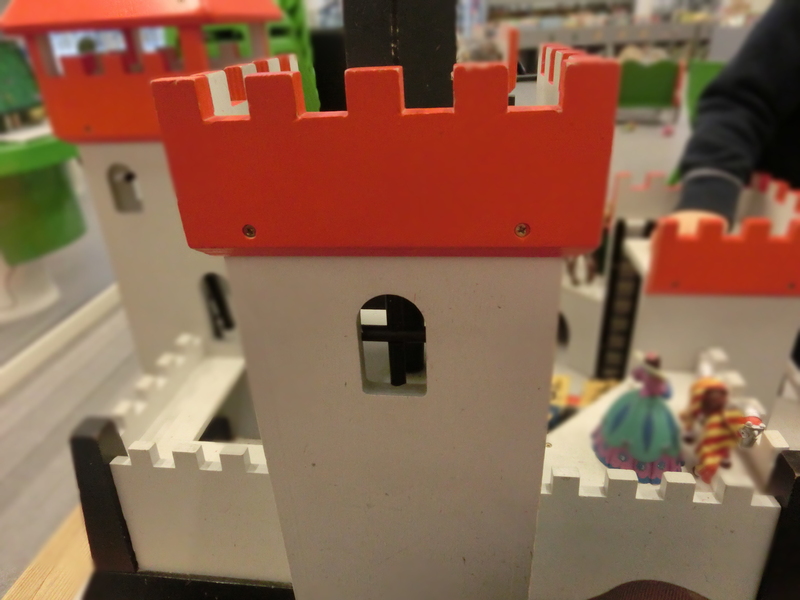 I also love that the spaces set aside for children are also well thought out and offer great imaginative play with wooden castle, boats and lovely seating areas. I recently found out more about (what will be) our local library in Østerbro and if you are an expat their English language programme of talks, walks and events is well worth checking out (Kultur Østerbro). 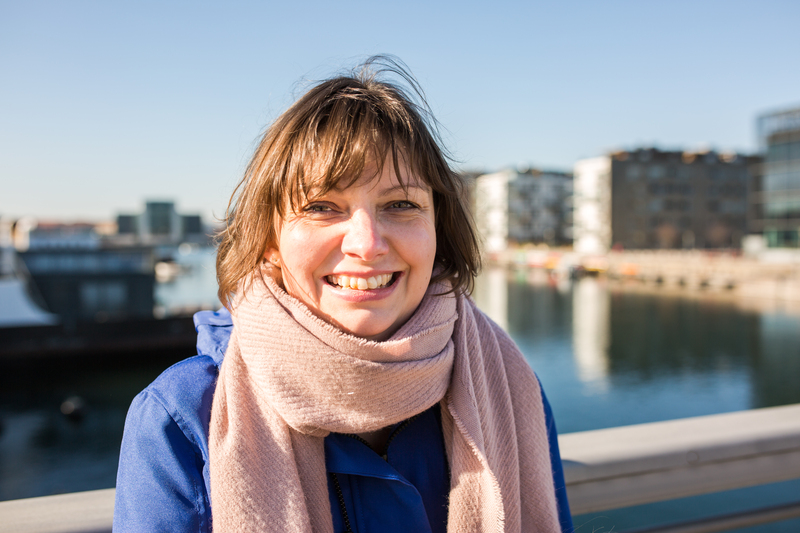 Last week I was shopping at Fields (a rare thing as I dislike shopping malls but sometimes needs must) and I had a bit of extra time on my hands so I visit Ørestad Library. 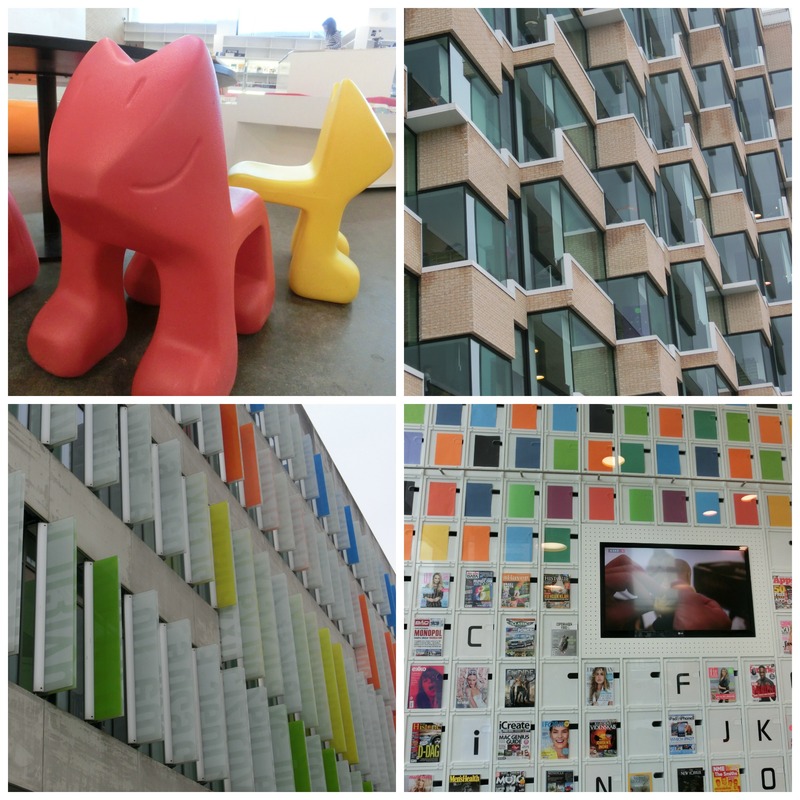 I had read a lot about its innovative, colourful architecture and how it is integrated into the new high school, so I was both interested in that and also how it really functioned as a library. I loved it. I was not with my son that day but the children’s area was amazing and worked well in integrating with the rest of the library. I also loved the quirky alphabetical system for the magazines. There was also a little coffee cart in the magazine section selling freshly brewed drinks.